You use Cost Center Accounting for controlling function within your organization. The costs acquire by your organization must be crystal clear. This enables you to check the productivity of individual useful areas and supply decision-making data for the management. This involves that all costs be allocated according to their source. However, the source-related assignment is especially difficult for overhead costs. SAP FICO course lets you analyze the overhead costs according to where they were deserved within the organization. Profit Center Accounting lets you determine profits and losses by profit center using either period accounting or the cost-of-sales approach. It also lets you analyze fixed capital and so-called statistical key figures (number of employees, square meters and so on) by profit center. You can run your profit and loss statement and in some cases balance sheet at the profit center level. A profit center is a management-oriented organizational unit used for internal controlling purposes. 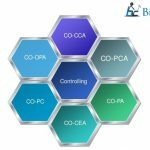 Dividing your company up into profit centers allows you to analyze areas of responsibility and to delegate responsibility to decentralized units, thus treating them as organizations within the organization. 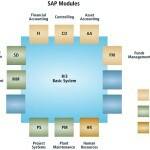 SAP FICO training involves with all the core explanation of concepts.